SpyShelter 9.3 comes up with a couple of small, but noticeable changes. We have focused on optimizing the SpyShelter User Interface in order to make it work faster. We have managed to significantly reduce the space used on disk (up to 30% less) as well as decrease GUI loading time. Except for optimization, we have also enhanced System Protection module. 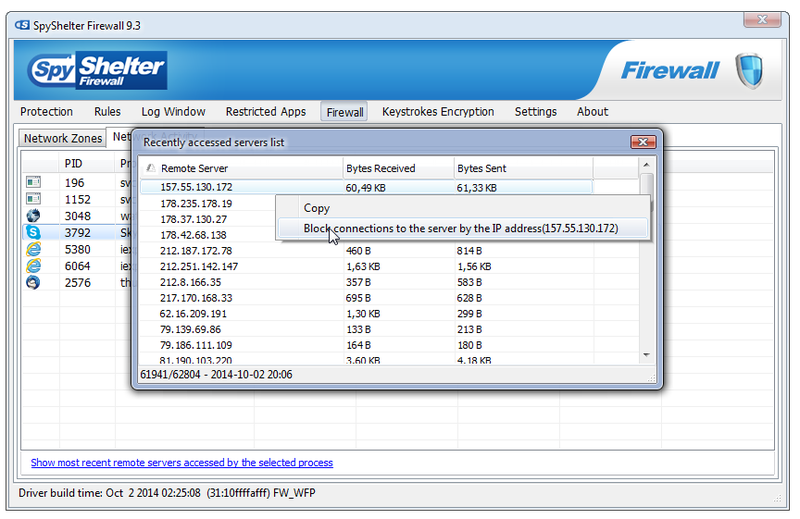 We have also added a quality of life improvements for SpyShelter Firewall users. It is now possible to block certain connections from Network Activity menu. You can now also refresh this window by hitting F5. It is now also possible to change the data transfer display from current to average speed.